Today we're listing the most anticipated releases for the rest of the year. Since I'm a bit out of the loop and normally find most of my to-be-released books through various Waiting on Wednesday posts today's list is going to be a bit short. 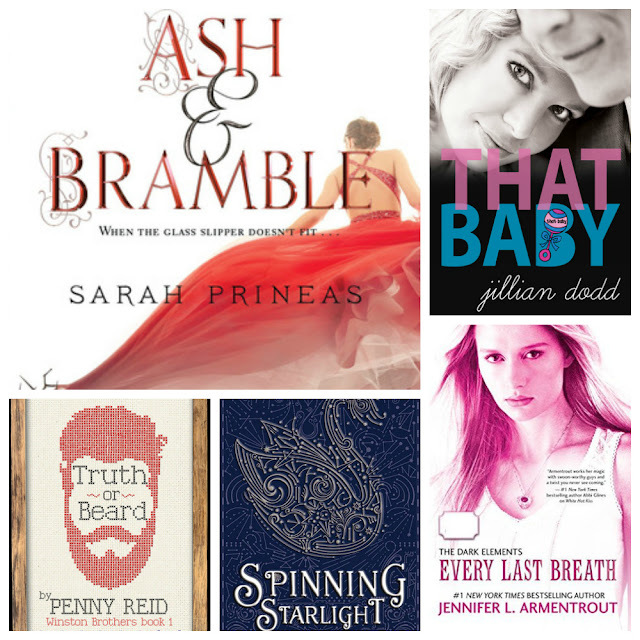 I added Ash & Bramble by Sarah Prineas to my TBR very recently (read yesterday) but it sounds awesome. It takes a whole new angle on Cinderella and apparently we don't all want a prince, who knew? I read That Wedding (Book #2) by Jillian Dodd when it was released three years ago, which means I've been waiting for That Baby for THREE YEARS. I'm not a patient woman. I do not like waiting. But it is almost here! Okay, so there might have been a little too much Penny Reid on the blog lately but she's down right the best there is. So yeah, there's gonna be more of her. After a hectic release schedule this spring she's still got us waiting for both Truth or Beard and Happily ever Ninja (no cover yet). I haven't read a sci-fi in a very long time and I'm so excited for Spinning Starlight by R.C. Lewis. 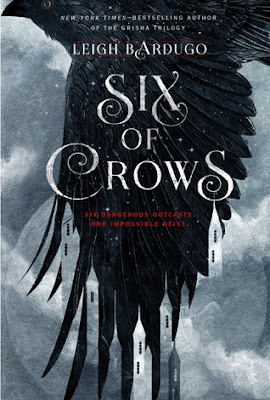 And then there's Jennifer L. Armentrout, I think the Dark Element series is my favorite of hers to date and July and Every Last Breath can't come soon enough! When I finished Love Unrehearsed by Tina Reber I had no idea that there would be a sequel, but turns out we get Marie's story as well. So now I've waited three years for Love Unguarded one too! I'll add more new releases as the year goes but this is it for now. So tell me, which ten (or nine, or eight or one) 2015 releases are you most excited for?! Great list! Ash & Bramble sounds so good. I've not seen any reviews on it yet though! Great picks! I also can't wait for That Baby!! I'm excited for Ash and Bramble too. I'm a sucker for a good fairytale retelling. I've been wanting to get around to JLA's Dark Elements series, but I think part of me is scared by being letdown since I loved the Lux series so much!